Premier League giants Arsenal are keen to sign Argentinean striker Gonzalo Higuain from Napoli, according to SkySports. The North London side have been keeping tabs on the former Real Madrid striker for the past few weeks. The reports further claimed that Higuain is keen to leave the Italian side, he has also denied to sign a new contract, according to his agent. 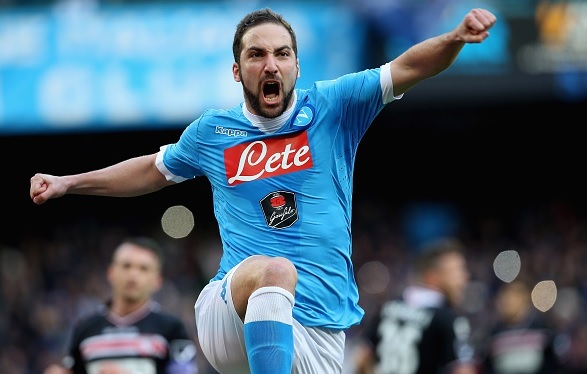 The 28-year-old has been exceptional for the Serie A outfit since his move from Real Madrid. He netted 36 goals last season, winning the golden boot in the Italian top flight. Furthermore, Arsenal boss Arsene Wenger is planning to splash big money to seal his deal, also reports reveal that they could include Olivier Giroud in the deal. Giroud's agent Mickael Manuello Radio CRC clearly that his client can move to Italy. He told that there is no fear if Giroud goes to Napoli, it is a great city. The Frenchman who was part of Euro 2016 final has failed to fulfill the expectations of Arsenal. Despite of the striking struggles the Gunners have not taken a step to sign a World Class striker. Higuain would be a great move for Arsenal, he can bolster the attack by scoring goals, he is capable of scoring more than 20 goals a season.